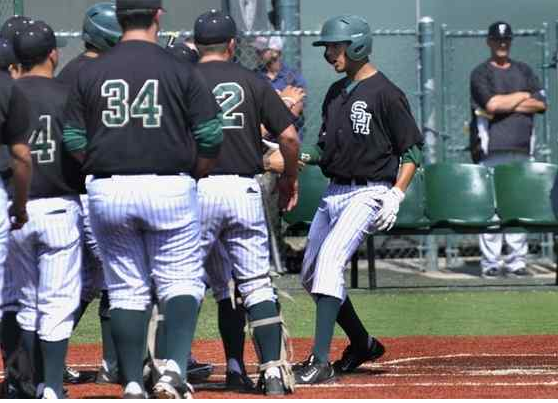 Damien at South Hills, 3:15 p.m.
Dieter leads the way for South Hills: Going into the fall, South Hills High School pitcher Brandon Dieter was being looked at as a possible closer for the Huskies. However, things changed when two of the three top Huskies pitchers — Ryan Mauch and Andres Alvarez — were lost due to injury for the regular season.Dieter, a sophomore, won his second playoff game Friday afternoon, as top-ranked South Hills defeated visiting Foothill 8-1 in a CIF-SS Division 2 quarterfinal game. 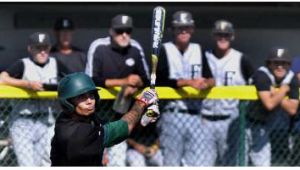 Damien in first semifinal since 1997: Damien came from behind to knock off defending CIF Southern Section Division 2 champion Mission Viejo 7-3 in a quarterfinal baseball game on Friday. Bishop Amat falls 8-1: If there was an exclamation point moment in Bishop Amat’s 8-1 loss to visiting Woodbridge in the CIF Southern Section Division 3 baseball quarterfinals on Friday, it was Aharon Modlin’s at bat in the sixth inning. He was brushed back on a pitch that he thought hit him, but instead was ruled a foul ball off the tip of his bat.He followed a couple pitches later with a blooper in foul territory along first that should have been caught for a out, but was dropped while two Amat players fought for it.On the next pitch, he put any Amat hopes to rest, belting his second two-run homer of the game to deep left for a 7-1 lead and the celebration began. Was looking at the Allstar roster . No esqueda or Barrera from Amat . At least one should of made it .